Defend your information from phishing and cover your tracks when needed. 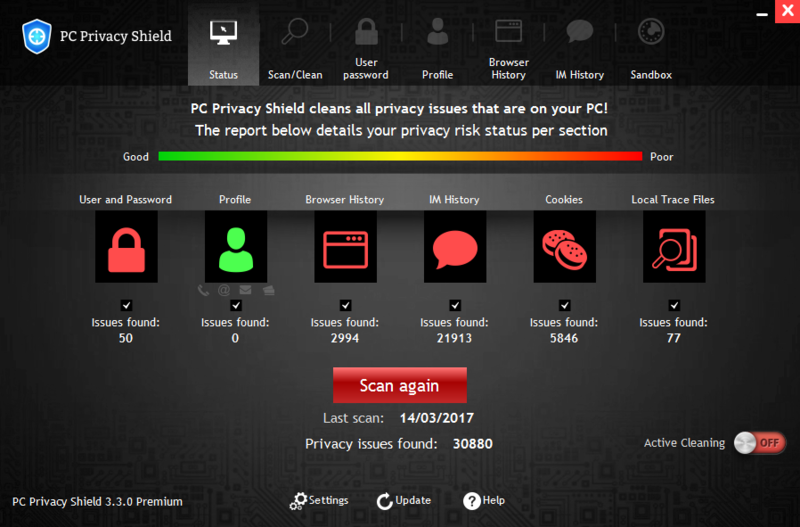 PC Privacy Shield Premium 3.3.0 was available as a giveaway on March 15, 2017! PC Privacy Shield is used to both defend one’s information from phishing AND to cover his/her tracks when needed. PC Privacy Shield deletes login credentials and alerts in real time when those are being logged by the browsers. 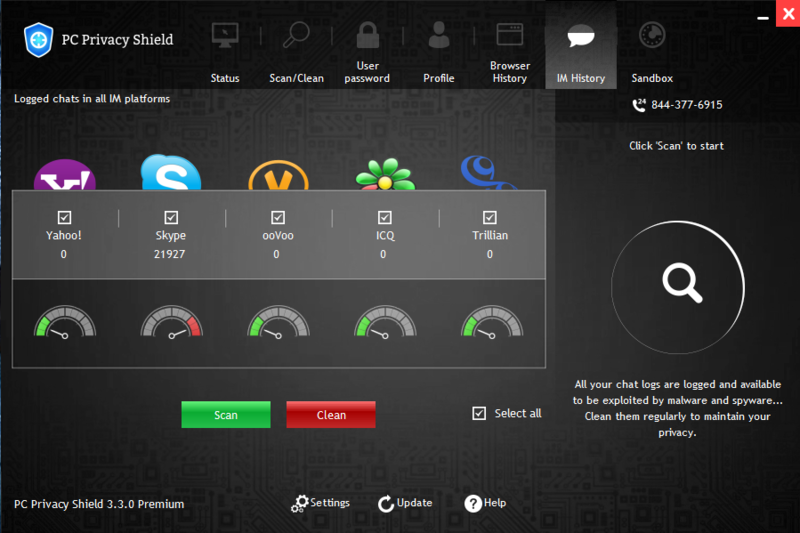 PC Privacy Shield cleans instant messages/chat history, keeping your PC clean of any previous chat records. PC Privacy Shield allows a fully automated mode in which the software automatically protects privacy on a set schedule the user can create. 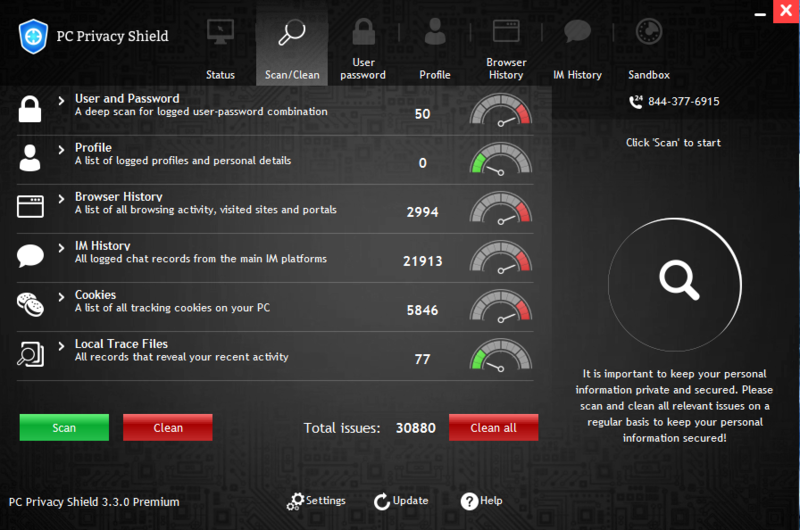 Users of PC Privacy Shield can select specific categories to be scanned and cleaned or simply allow full-automation. The registration info is in the Readme file placed in the package you download. How would you improve PC Privacy Shield Premium 3.3.0? As the License is of a 'limited period of time' type I think I'll avoid this offer. "Adguard Adblocker" wont even allow me to go to the "shieldapps.com" website which is reports as unsafe, let alone to the PC Privacy Shield web-page I'm thinking that's not a good omen too begin with ... As the License is of a 'limited period of time' type I think I'll avoid this offer. I can enter the licence key in the box, but the form then tells me to click 'Activate'. I cannot see an 'Activate' button, but there is a 'Register Now' button. When I click that it launches my browser and goes to a page where you can buy a licence. So where is the 'Activate' button? I can enter the licence key in the box, but the form then tells me to click 'Activate'. I cannot see an 'Activate' button, but there is a 'Register Now' button. When I click that it launches my browser and goes to a page where you can buy a licence. So where is the 'Activate' button? I received the LICENSE KEY in my e-mail, I go to "Register now," I input my information and the LICENSE KEY provided. It says to click "Activate?" Where is the activate button? I see another Register Now button and when I click that, I am brought to a website to pay for this program. I cannot see to activate or register this Giveaway. Any idea of what I may be doing wrong? Thanks. Fill form but where's this click "Activate"? quick and effective. was amazed by the amoun of information i was unaware of being stored on my computer... thanks! NOT saying PC Privacy Shield Premium is a bad app, but Please don't get complacent, feeling that it will protect you from phishing as the ad copy states. I'm using Firefox set to do much of what PC Privacy Shield Premium does, so I'm not going to say that the rest of what the app's designed to do is bad or unnecessary. Phishing by definition is the practice of tricking you into giving cybercriminals your information, or tricking you into opening an email attachment, or tricking you into turning on macros to view an attachment in a MS Office format. It's common, and it's alarmingly effective. And the only real protection against phishing is You being extremely cautious -- nothing is going to prevent you from entering your info on a web site that looks just like your bank's, but that is really controlled by criminals. No security software blocks every malicious email or labels it as spam. Any images, say of your bank's logo, may actually be the real thing, and any links or addresses may appear legit, so software has nothing to go on to determine if they're good or bad. That's your job, & it's safest not to trust anything -- our banks for example state in every real, official email not to ever click on any link in any email, & say they'll never, ever ask us to. Also be aware that there are cybercriminals targeting network routers [and some modems], which can make for extremely effective phishing, & there have been loads of router vulnerabilities identified & published in the last year or so. A compromised router, or a compromised PC that has had the DNS server changed, can send you to a malicious site that looks just like the legitimate site you wanted to visit. You do what you're supposed to, entering your bank's address in your browser -- you just never get there. This fake site might even contact the site for your bank, relaying your sign-in etc., so everything appears to work, but they're recording everything. And security software running in Windows will not tell you your router's infected -- it's a separate device, & that's not the security software's job. So Google your router make & model to see if there are reported vulnerabilities &/or attacks, and make sure if there's newer firmware available, you update it. You can also use Google to find out what your DNS server URL should be, and make sure that's what you're using. NOT saying PC Privacy Shield Premium is a bad app, but Please don't get complacent, feeling that it will protect you from phishing as the ad copy states. I'm using Firefox set to do much of what PC Privacy Shield Premium does, so I'm not going to say that the rest of what the app's designed to do is bad or unnecessary. Phishing by definition is the practice of tricking you into giving cybercriminals your information, or tricking you into opening an email attachment, or tricking you into turning on macros to view an attachment in a MS Office format. It's common, and it's alarmingly effective. And the only real protection against phishing is You being extremely cautious -- nothing is going to prevent you from entering your info on a web site that looks just like your bank's, but that is really controlled by criminals. No security software blocks every malicious email or labels it as spam. Any images, say of your bank's logo, may actually be the real thing, and any links or addresses may appear legit, so software has nothing to go on to determine if they're good or bad. That's your job, & it's safest not to trust anything -- our banks for example state in every real, official email not to ever click on any link in any email, & say they'll never, ever ask us to. Also be aware that there are cybercriminals targeting network routers [and some modems], which can make for extremely effective phishing, & there have been loads of router vulnerabilities identified & published in the last year or so. A compromised router, or a compromised PC that has had the DNS server changed, can send you to a malicious site that looks just like the legitimate site you wanted to visit. You do what you're supposed to, entering your bank's address in your browser -- you just never get there. This fake site might even contact the site for your bank, relaying your sign-in etc., so everything appears to work, but they're recording everything. And security software running in Windows will not tell you your router's infected -- it's a separate device, & that's not the security software's job. So Google your router make & model to see if there are reported vulnerabilities &/or attacks, and make sure if there's newer firmware available, you update it. You can also use Google to find out what your DNS server URL should be, and make sure that's what you're using. PC Privacy Shield needs Microsoft .NET Framework 4 to be installed. Just in case you're still on windows 7 ( or earlier): PC Privacy Shield needs Microsoft .NET Framework 4 to be installed. Take care. StrayCat, good that you say so. I should not have Microsoft.NET Framework 4. "earlier" would include Vista, and also include XP, which does not support NET Framework 4. This GOTD page lists XP and Vista, and also the developer's website shows that the product supports both operating systems. I also can confirm that the program will install and run on Windows XP SP3 (without NET 4). To me, the major problem is that it does not ask where to install to, and thus by default installs on the C: drive. If usrs have an SSD as their C: drive, they might want to re-consider. StrayCat, <strong>>Just in case you're still on windows 7 ( or earlier): >PC Privacy Shield needs Microsoft .NET Framework 4 to be installed</strong> "earlier" would include Vista, and also include XP, which does not support NET Framework 4. This GOTD page lists XP and Vista, and also the developer's website shows that the product supports both operating systems. I also can confirm that the program will install and run on Windows XP SP3 (without NET 4). To me, the major problem is that it does not ask where to install to, and thus by default installs on the C: drive. If usrs have an <strong>SSD</strong> as their C: drive, they might want to re-consider. Thank you GOTD and ShieldApps for this giveaway. This is an interesting piece of software to look into, more even since these "privacy issues" have become an online subject obsession, but very hard or impossible to attain by the regular computer/internet user. @Delenn. I've red your messages. Thank you. Let's get back on xkcd. Thank you GOTD and ShieldApps for this giveaway. This is an interesting piece of software to look into, more even since these "privacy issues" have become an online subject obsession, but very hard or impossible to attain by the regular computer/internet user. @Delenn. I've red your messages. Thank you. Let's get back on xkcd. Thank you GOTD and PC Privacy Shield. Easy install and license activation and a really great program. Keep up the awesome work. LINDYWISE, how did you activate it? I am having problems doing that. Thanks. Thanks for this one GOTD! I would never know what kind of information is laying around my computer! All of the private information that could be used by hackers are located and removed for good. As I see everything is automated and pretty easy to handle, so thumbs up for this! Little heads up, write down your credentials if you don't know them, because the software will remove them from your computer. Thanks for this one GOTD! I would never know what kind of information is laying around my computer! All of the private information that could be used by hackers are located and removed for good. As I see everything is automated and pretty easy to handle, so thumbs up for this! Little heads up, write down your credentials if you don't know them, because the software will remove them from your computer. Again, thank you GOTD! Based on the comments to date, I wouldn't touch this program with a 10 foot poll. CCleaner and Wise Disk Cleaner do the job for me. They are both freeware. Based on the comments to date, I wouldn't touch this program with a 10 foot poll. CCleaner and Wise Disk Cleaner do the job for me. They are both freeware. i didn't realized all my password are saved on my computer.... i delete them immediately, Thanks for the Giveaway of the Day team!! Not ALL your passwords are stored, but sometimes your browser will ask "Do you want Firefox (or whatever) to remember your password?" Sometimes, for security, I use an alias and a passcode that other users of my PC don't know. Obviously this isn't Fort Knox secure, but it could be a problem when the scan displays all that information (name AND passcode) to anyone who can see the screen. For example, I have just learned my wife's email password, thanks to the first scan. I don't know whether that will annoy her. It annoys me - I had no reason or wish to know it. Dani, Not ALL your passwords are stored, but sometimes your browser will ask "Do you want Firefox (or whatever) to remember your password?" Sometimes, for security, I use an alias and a passcode that other users of my PC don't know. Obviously this isn't Fort Knox secure, but it could be a problem when the scan displays all that information (name AND passcode) to anyone who can see the screen. For example, I have just learned my wife's email password, thanks to the first scan. I don't know whether that will annoy her. It annoys me - I had no reason or wish to know it. Installed okay in Win 7 64 bit. Not blocked by Bullguard. Just a word of caution- it asks you to create a password. I suggest you choose a very secure one, and do so in privacy, as the scan that follows reveals ALL your stored online passwords for various websites in plain text for everyone around to see. There was no warning that this would happen - a bit of an oversight. Presume this will happen with every scan (or maybe there's an opt-out setting which I haven't yet discovered). Anyone who can guess your PC Privacy password would be able to access all the others. Thought somebody might appreciate being forewarned. Installed okay in Win 7 64 bit. Not blocked by Bullguard. Just a word of caution- it asks you to create a password. I suggest you choose a very secure one, and do so in privacy, as the scan that follows reveals ALL your stored online passwords for various websites in plain text for everyone around to see. There was no warning that this would happen - a bit of an oversight. Presume this will happen with every scan (or maybe there's an opt-out setting which I haven't yet discovered). Anyone who can guess your PC Privacy password would be able to access all the others. Thought somebody might appreciate being forewarned. I don't mind GOTD's requirement of an email address so as to get the download link because I don't use Facebook, but after that, it's necessary with this giveaway to go to an activation page and provide an email address yet again, and then work through one of the most tedious captcha processes around: I want to sample a software, not spend a small eternity ticking off shop fronts, street signs, and whether there's any grass growing anywhere in view. Others with more time and patience to spare will likely fare better, but on the basis of the developer's own web page description it's hard to see what might make PC Privacy Shield Premium worthy of installing anyway -- and especially as it's yet more rentalware on a recurring annual license. The so-called 'Sandbox' feature is, apart from a misinterpretation of what the word actually means, an automation easily foregone with a simple click on a CCleaner shortcut at the end of a browsing session. CCleaner also takes care of cookies, with the option to save any that may be wanted, whilst the free Firefox 'Better Privacy' extension goes even deeper in that regard. Firefox also automatically erases all history on exit, and as for passwords, well: if there are still any out there ill-advised enough to use their browser for passwords instead of a password manager, I doubt any 'preventative' measure is ever going to help them. As for the product's other features, existing free or paid-for anti-malware / anti-virus software from long established providers seems already more than capable of managing that. I'll pass then, GOTD, but thanks anyway. I don't mind GOTD's requirement of an email address so as to get the download link because I don't use Facebook, but after that, it's necessary with this giveaway to go to an activation page and provide an email address yet <i>again,</i> and then work through one of the most tedious captcha processes around: I want to sample a software, <i>not</i> spend a small eternity ticking off shop fronts, street signs, and whether there's any grass growing anywhere in view. (What's especially ironic here is that I must first disable the privacy / security protections on this computer so as to access the activation captcha for this privacy software.) Others with more time and patience to spare will likely fare better, but on the basis of the developer's own web page description it's hard to see what might make PC Privacy Shield Premium worthy of installing anyway -- and especially as it's yet more rentalware on a recurring annual license. The so-called 'Sandbox' feature is, apart from a misinterpretation of what the word actually means, an automation easily foregone with a simple click on a CCleaner shortcut at the end of a browsing session. CCleaner also takes care of cookies, with the option to save any that may be wanted, whilst the free Firefox 'Better Privacy' extension goes even deeper in that regard. Firefox also automatically erases all history on exit, and as for passwords, well: if there are still any out there ill-advised enough to use their browser for passwords instead of a password manager, I doubt any 'preventative' measure is ever going to help them. As for the product's other features, existing free or paid-for anti-malware / anti-virus software from long established providers seems already more than capable of managing that. I'll pass then, GOTD, but thanks anyway. MikeR, How anyone found your comment useful is beyond me. A simple "thank you" for providing free software would have sufficed. You need to get a life. Just Saying. Lindy Wise: As you're so generously concerned for my life, I'll reciprocate with a suggestion as what you need to do in yours: stop shilling GOTD. You're much too obvious. Seems to me that Mike did a pretty good review of what he thinks of this software. MikeR, I just CCleaner back on my computer and since I use Firefox I thought all the cookies were erased when I closed Firefox. After I ran CCleaner the first time It found so many cookies that I am now wondering about if Firefox does clean like I have it set to. Well commented .. . MikeR .. Once again ... Many Thanks . MikeR, fwiw, i love your reviews and will often scroll through to find if you've written. i've learned a lot from you through the years, THANK YOU. lindy wise does not live up to his/her name. i will now count store fronts. MikeR, fwiw, i love your reviews and will often scroll through to find if you've written. i've learned a lot from you through the years, THANK YOU. lindy wise does not live up to his/her name. i will now count store fronts. The above apparently means "I can not find a link for registration. Can someone give me a link. And do not already have the site publish the activation code immediately, and not nonsense in English"
The link is in the readme file. I'm not sure what the last part of your enquiry means, sorry! The above apparently means "I can not find a link for registration. Can someone give me a link. And do not already have the site publish the activation code immediately, and not nonsense in English" The link is in the readme file. I'm not sure what the last part of your enquiry means, sorry! That last line is a little akward, but seems to say: "And the site doesn't immediately give you the code, but just a bunch of gibberish in English instead... Really??" freddo, That last line is a little akward, but seems to say: "And the site doesn't immediately give you the code, but just a bunch of gibberish in English instead... Really??" алексей , If you do not like the English language and only understand Russian Go to the Russian language version of the site! https://ru.giveawayoftheday.com/pc-privacy-shield/ for this offereing and https://ru.giveawayoftheday.com/ for the Russian language home page. алексей , If you do not like the English language and only understand Russian Go to the Russian language version of the site! https://ru.giveawayoftheday.com/pc-privacy-shield/ for this offereing and https://ru.giveawayoftheday.com/ for the Russian language home page. 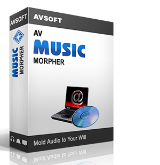 Just had a terrible experience with this software. DO NOT INSTALL. Corrupted my Recycle bin and then the problems just multiplied in trying to correct that. David Morgans, The problem with some of the software offered here and any software is that all apps don't play well together. according to the software apps a person has on their PC this can and in my case has caused many off brand or beta stage apps to GO ROGUE and even after u uninstall them they leave behind their driver dll. and other leftover bits that are still active(99% of all software name brand or not do this but most are inactive).....still causing problems, so u need to find and remove the rogue dll. along with what ever else is left. Here are a few free apps to try that could help solve your issues ( all but the last two are portable). Norton's power eraser, Eset Rogue app remover, Clamwin ,Zemana , Spybot also malwarebyte and superantispyware. look around for more free safe apps that can help. install one run it then uninstall and try another. O the irony of it all. Here we are today being offered software that purports to protect our privacy and protect us from phishing and yet when you go to Shieldapps website it's blocked with warnings that it could be harmful. I'm sure there's nothing bad there and WW3 won't start if you ignore the warnings but I found it rather amusing all the same. Won't be downloading as I already have similar on my machine. just click the url to check the Homepage of the Publisher. then it is blocked by an installed s/w on my pc which was a GOTD free offer last week. there is info in the warning message. i do not know what to say as an free offer block another free offer in GOTD.